Great impression with poor tray selection. Remakes are the nemesis of every laboratory and dental practice. As it happens, the common culprit contributing to unnecessary remakes is one of dentistry’s staple items—the disposable triple tray. From the outside, many of the disposable triple tray’s qualities appear benign and appealing, as it is cost-effective (less impression material, cost of the tray, etc. 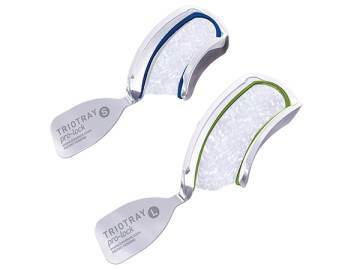 ), easy to use, and less challenging for a patient than a full arch impression. Not only that, but the dual-arch impression trays take three impressions simultaneously – an occlusal relationship, prepared teeth, and opposing dentition. Despite these positive attributes, not all triple trays are equal from an accuracy standpoint. 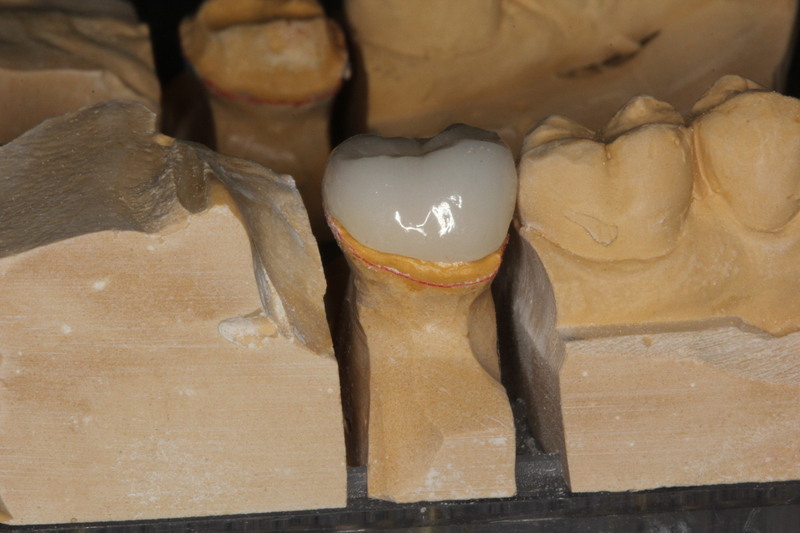 A plastic, flexible triple tray has exactly that: “flex.” Unfortunately, the number of pours, the weight of the stone, the amount of material in the border of the tray, and/or the type of impression material can introduce potential distortion when the model is made—none of which creates the kind of impression that a high quality dental restoration is fabricated from. The best dental labs verify fit on not only a solid model but a working model as well. They take into consideration that duplicate dies require more than one pour of stone material. As you can see, even with a perfectly good prep and a readable margin this sort of tray can affect the “size” of the prep. 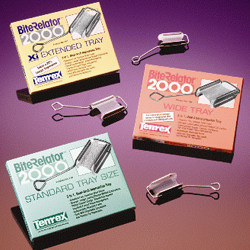 The solution to this problem is utilizing a more rigid, inflexible triple tray like the Temrex Bite Relator or the Triotray Pro-Lock. As demonstrated in the video clip below, the amount of give when pressure is applied is much more stable and virtually eliminates the distortion associated with flexible trays. Gold Dust Dental Lab highly recommends the use of a rigid tray system to alleviate the headaches and costly, unnecessary remakes that may result from flexible quadrant triple trays. One Response to "Tales From The Bench: Dangers In Quadrant Triple Trays"